This year celebrates the tenth birthday of the annual uniting of the musical clans of the north of England that is Kendal Calling. To make it even more special old friends and indie legends James have been invited along to open on the Thursday night and make it a four day festival. If you have never been to Kendal Calling, I would say it is a trip back to festivals in the days before Kate Moss and paparazzi patrolled the mud and music with a celebratory atmosphere of meeting new friends and making new memories. One thing to note though, if you are driving don’t set your SatNav for Kendal though as you will end up about twenty miles short of the beautiful Lowther Deer Park. The latest act to come off the successful conveyor belt that is the Manchester music scene, Blossoms, have the potential to join the biggest and brightest of their ilk. With a comfort around a pop tune mixed with a love of the grooves of psychedelia they are guaranteed to make your ears prick up to want more. A tightness and confidence when playing live will also grab your attention and make you want to know once you leave The Lake District when they are next playing near you. Representing Brighton at this most northern of shindigs is the phenomenally talented Black Honey. Mixing the sounds of surfer rock with a moshpit-friendly chord or two make this four-piece a must see on this year’s festival circuit. Haunting vocals accompanied by tunes you can jump or dance to… You have got to make sure you’ve put some time in your schedule for this. Promise me! This acoustic duo could have been created by a scientist to make music perfectly suited for festival season as the sun goes down and you need to sit on the grass with a cider and listen to something beautiful. With hit track, Oceans (3.8million plays on Spotify and rising), guaranteed to get many singing along we could be looking at one of the real stand out moments of Kendal Calling. With a scuzzy yet structured sound reminiscent of Jet and The Vine, I would like to introduce you to your new favourite band, The Bohicas. Signed to Domino Records, these four Essex boys are going to tear your ears a new one. You will see why last summer they were sent over to Ibiza to support Franz Ferdinand at Ibiza Rocks. This is music you cannot help but engage with and thousands of music fans this summer have been doing just that. An up-and-coming alternative rock band from Manchester hot on the feels of a performance at Latitude Festival, Man Made, have something for most music fans. Rather than be pigeonholed into a rock band just for rock fans, their songwriting skills are expansive enough to include fans of softer forms of music without swapping their beliefs for hits. TV Broke My Brain is a great chorus to have stuck in your mind for a weekend away from it and with hints of early Green Day you might want to board this train early. Hailing from the north west of England, Alex Hulme is going to have some ready made backing in the crowd that will be watching him. But this isn’t going to be a friends-only performance as his poppy take on folk music has plenty to offer the passerby and make them stop and become part of the crowd. Even if you haven’t heard songs such as Climb or The Hunt, they are so subtly imposing that you will think you’ve known the words for years. 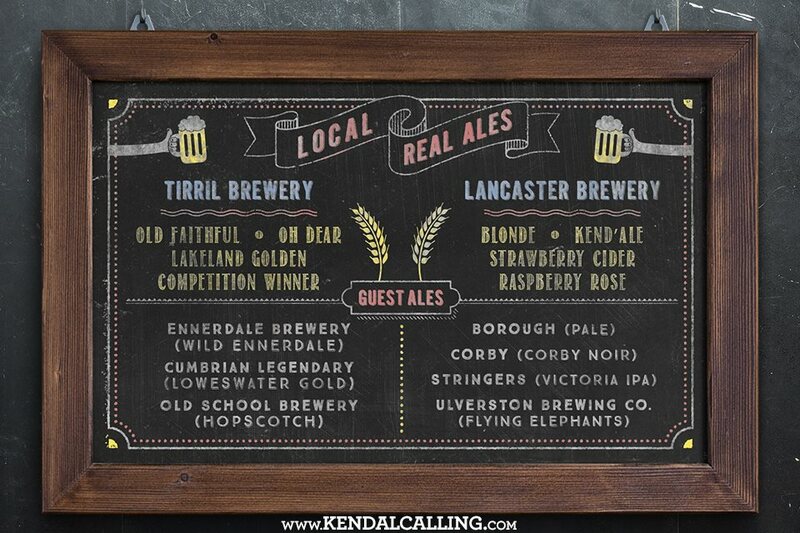 There is no denying it, one of the best things about Kendal Calling is the Real Ale Festival. As well as being a place to sup a nice pint of amber ale or a ruby bitter, the benches offer a great hangout and meeting point. With the friendly nature of the Kendal Calling you will be sure to end up chatting to a couple from back home about Billy Bragg or get encouraged to give up work and join the festival scene permanently travelling the country. The atmosphere in this small space is a wonderful microcosm of Kendal Calling as a whole. Kendal Calling is a great festival with a perfect balance between an old school love of coming together mashed up with the requirements of a modern festival goer for facilities which don’t bring back memories of trench warfare. There is the famously quirky Tim Peaks Diner, home to damn fine coffee and even better music – including our good DJ friend Bear Growls. There are the fancy dress celebrations and organised fun to help big groups of people get together. There is even a play area for the youngest of our rockers. 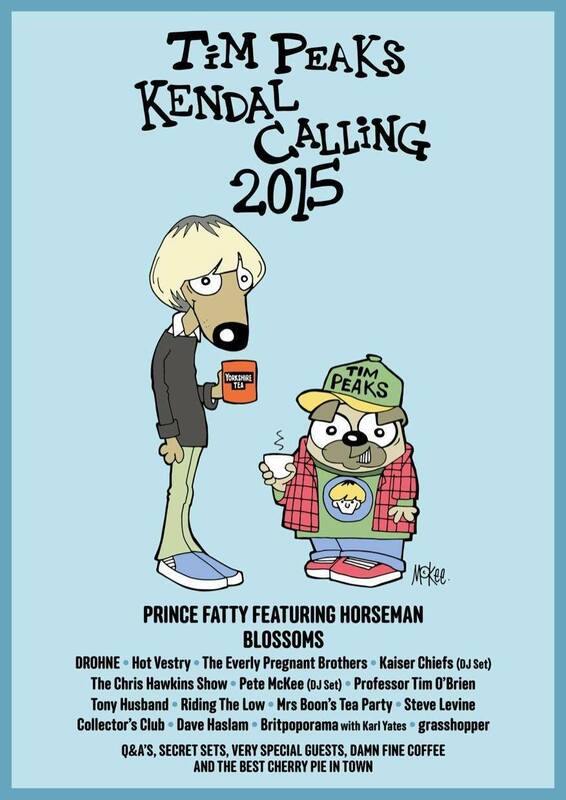 And finally there is some of the finest live music on offer in any field in any land this summer. 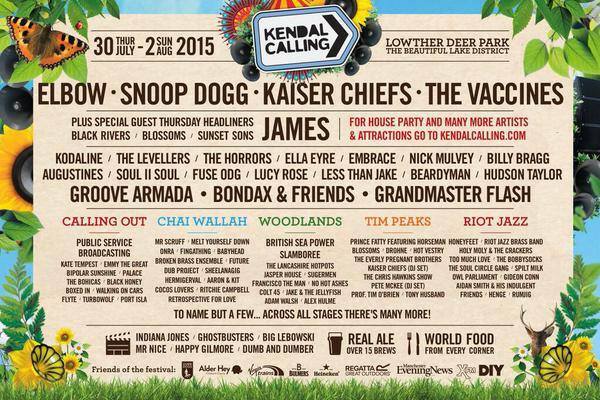 So for me the highlight of Kendal Calling is Kendal Calling. See you in the fields!